Real Food Fast! : A New Year's resolution for Cook's Illustrated? A New Year's resolution for Cook's Illustrated? I would be so happy if Cook's Illustrated came to their senses and made their amazing recipes available online without requiring a credit card. So many other people are posting them anyway that it is usually pretty easy to find them online somewhere. And really, I'm not going to stop my subscription just because I might read it online...I love having the magazine in my hands and on my counter top while I cook!! 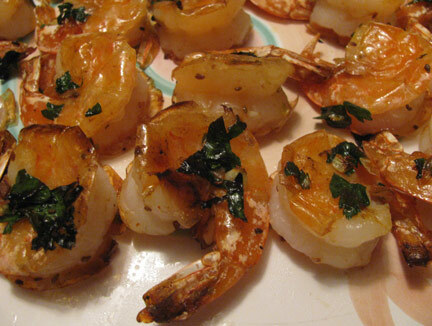 So here is a double winner from CI: Garlicky Roasted Shrimp and Citrus Salad. In fact, they are back to back in the issue. You know that I won't violate their copyright, but I'll tell you that both have been posted elsewhere if you want to look them up. 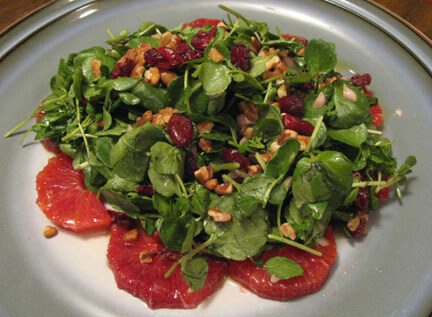 I made slight amendments to the salad, using only blood oranges and no grapefruit. 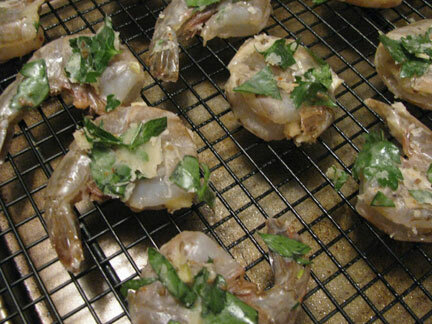 And I totally grossed out Mikey by eating the shrimp shells and tails! Loved the two recipes together...we're doing this again.